The “Brady Bunch” house currently being restored to its former groovy glory for an HGTV series isn’t the only home with a tie to the iconic ’70s sitcom. 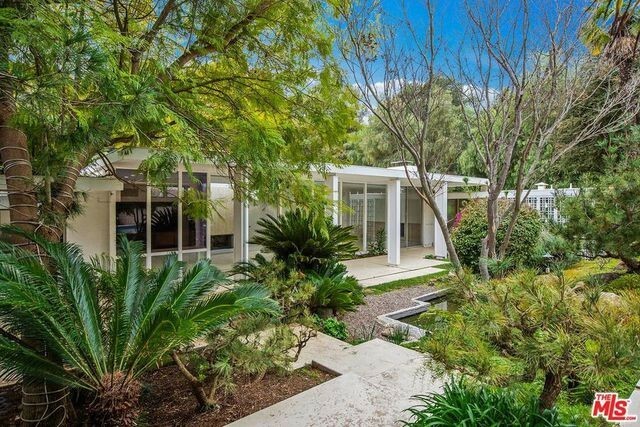 There’s another home—also in Studio City, CA—that served as the home of Mike Brady and the boys before they moved in with Carol and the girls in the first episode of the series. 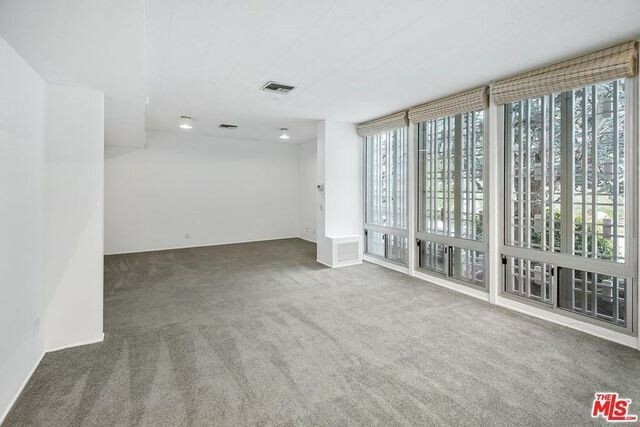 Now you can rent this pad with a Brady connection for $12,500 per month. This one is still owned by the same family for whom it was designed by Paul Williams and Howard Frank back in the early ’60s. Located in the bucolic celebrity enclave known as Fryman Canyon Estates, the home has been exceptionally well-preserved. Furthermore, we think it’s cooler than the more famous Brady house, located about 2 miles away. 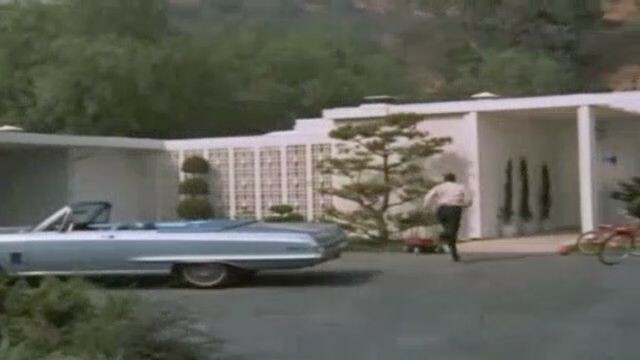 Like the more familiar home the blended family wound up sharing, this home’s exterior was used for establishing shots in scenes where architect Mike Brady is nervously preparing for his wedding. His sons and housekeeper Alice attempt to calm him down, and you see him in front of the home, running to and from his car. Perhaps the family should have stayed put in this glorious home. After all, it offers four bedrooms: one for the parents, one for the boys, one for the girls, and one for Alice. 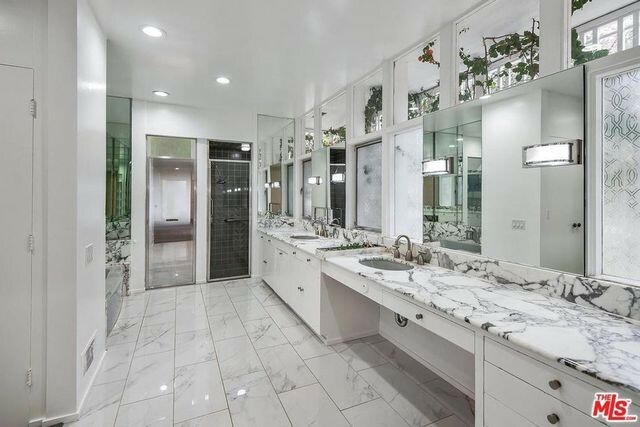 It also has four bathrooms, so the boys and girls wouldn’t have had to share in that odd Jack-and-Jill arrangement. The icing on the cake? 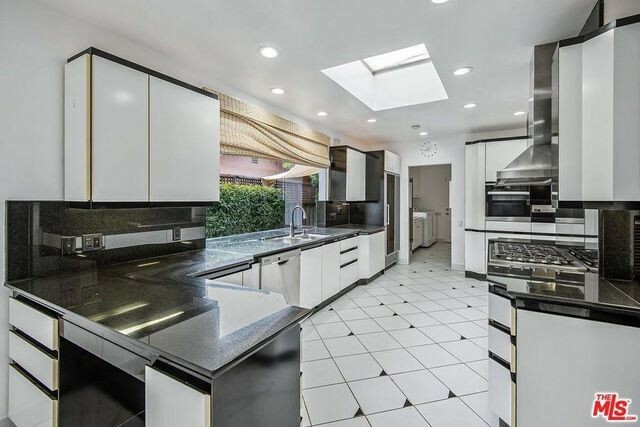 This home sits on a spacious, 4,016-square-foot lot with gorgeous landscaping and a pool! Think of the pool parties and the pool rules Mr. Brady would have set forth for the kids! Plus, there would have been plenty of room for Tiger and Fluffy to avoid each other. 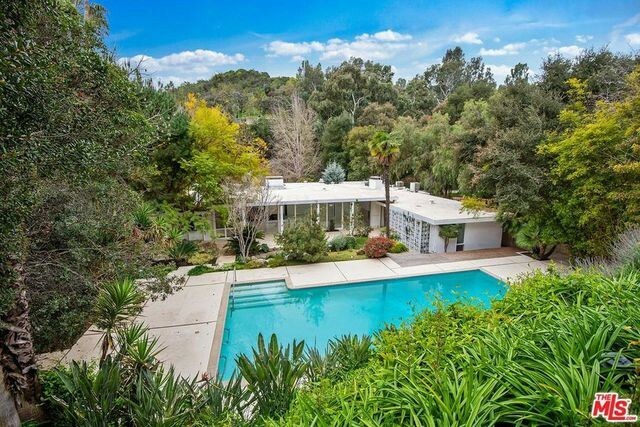 We’ll probably never know why this home wasn’t used for the rest of the series, but show creator Sherwood Schwartz reportedly lived in Fryman Canyon and was friends and neighbors with the owners of this home before he moved to Trousdale Estates. 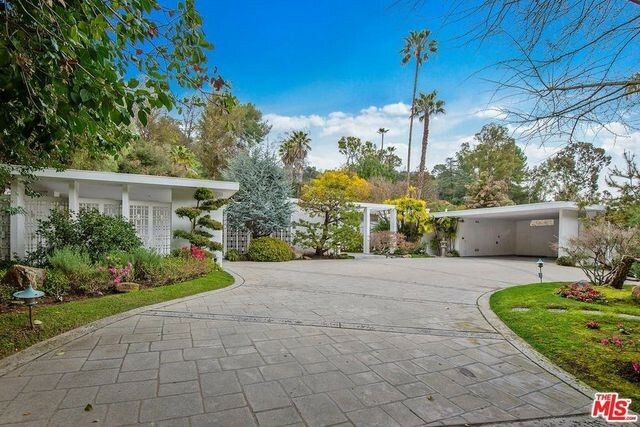 One thing is certain: If it had been the “Brady Bunch” house, there’s no way anyone would have been able to rent it for $12,500 per month. The original homeowners passed the stylish property on to their children. It’s now in a family partnership and has been a rental property for more than a decade. Dan Weiser of The Agency, who’s represented the home over the years, says it’s popular with families, especially those who like to entertain, since the grounds are so spacious. It’s also in the coveted Carpenter School District, which boasts public schools among the best in the nation, Weiser adds. What makes the home a true standout, he says, is the abundance of storage space. There are multiple walk-in closets, cupboards, bookcases, drawers, and shelves, some of them cleverly hidden behind wood panels. 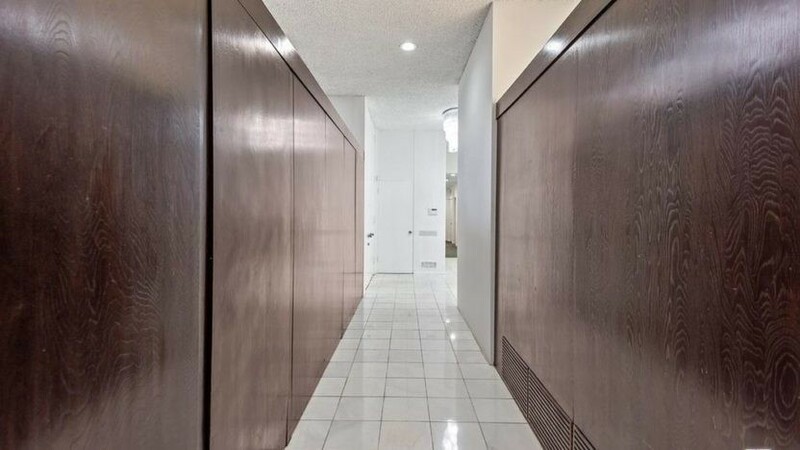 Walls of paneling or hidden storage space? The home sits back from the street, behind mature foliage, and it backs up onto Wilacre Park, a nature conservancy. Fryman Canyon Estates is known for its mountain park and hiking trails, but this home is hidden from prying eyes. 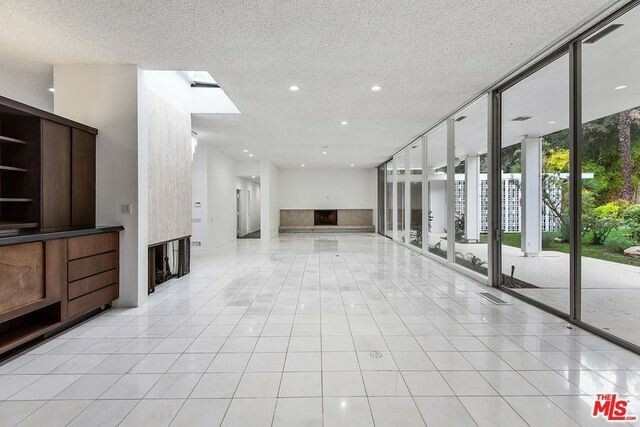 The home’s “swanky midcentury modern feel” also appeals to style aficionados, Weiser adds. It’s conveniently located near the studios in the San Fernando Valley, as well as the entertainment hubs of Hollywood and Beverly Hills. 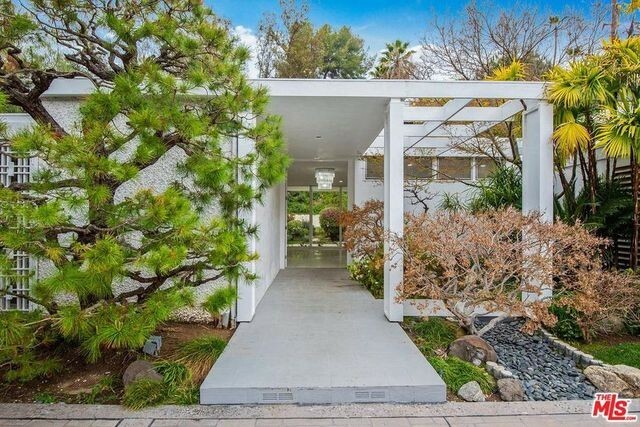 It appears that Carol and Mike Brady missed out when they moved from this midcentury modern masterpiece to the more generic split-level currently being remodeled by HGTV. Oh well. That’s showbiz. Their loss is a lucky tenant’s gain.